Kanakia Codename Future: Luxury apartments influenced by world-class amenities for you to live a posh life in Mumbai! Mumbai is a city that has a lot to offer its inhabitants. From dusk to dawn, this city is sprawling with fun and excitement that is pretty hard to find elsewhere. The real estate market in Mumbai has a lot to offer today in terms of residential and commercial developments. Yet, nothing comes close to the latest undertaking by Kanakia Group. 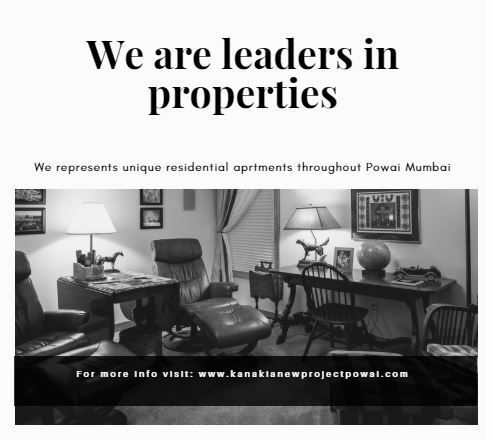 Kanakia Codename Future is a new residential project in Mumbai by Kanakia Group that offers a modern-day lifestyle that goes beyond the ordinary. Extended over vast acres of land, this development contains glorious towers that are nothing short of architectural beauties! Offering 2BHK and 3BHK luxury apartments of different configurations and amazing area sizes, you can pick the ideal apartment within a matter of minutes. 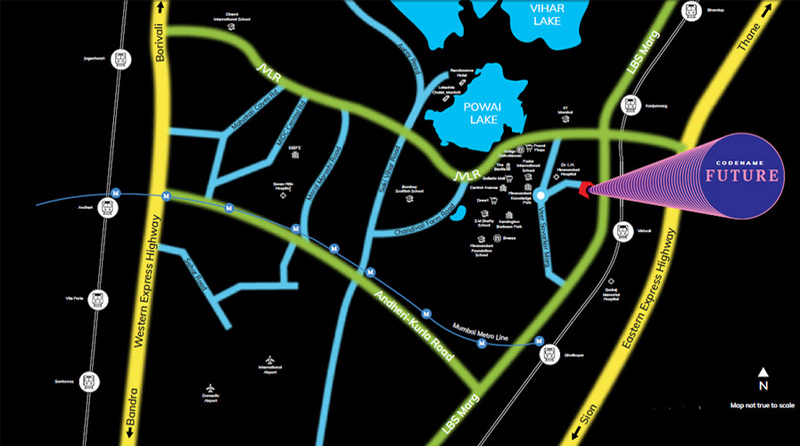 Kanakia Future Powai is your ultimate destination for lifestyle homes that are nothing short of spectacular. The apartments are spacious, provide beautiful air-flow in every room, natural lighting that will help you save on bills, and contain high-end fittings & fixtures, sleek flooring, decorative doors, wide balconies and windows providing jaw-dropping landscape views, fabulous kitchens with high-end counters and multiple provisions, intercom facility and other safety features. Welcome to a world of luxury and comfort that is designed to meet your taste! This residential development also offers a spectacular range of external amenities that offer pure leisure and take you to a whole new level of fun, comfort and entertainment. The external amenities at this grand development include a massive clubhouse, well-equipped gymnasium, indoor sports facilities, jogging track, rock climbing wall and a play-area for your kids, multipurpose hall, digital art gallery and museum, mist gardens of pure wonder, global spa village, meditation centre, well-planned car parking facility, 24hour water supply, efficient power back-up, landscape garden, wide open greens that will always make you feel free, sit-outs to spend time with your loved ones, swift elevators and well-trained security with video surveillance. Being a perfect blend of nature and technology, experience a new phase of luxury and comfort that will satisfy your senses. 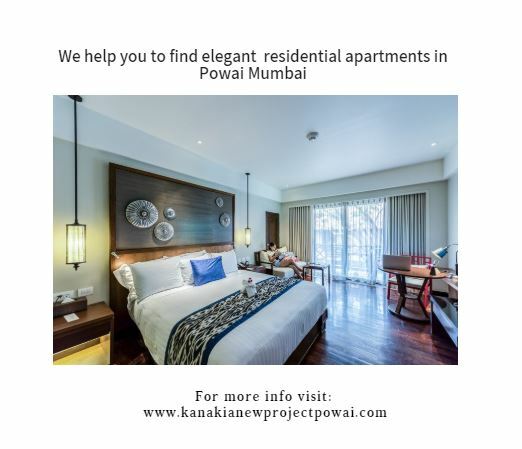 Located at Powai in Mumbai, Kanakia Codename Future Powai has a number of our everyday and emergency landmarks in close proximity and offers a life of convenience that is simply superb! Places like schools, colleges, banks, ATMs, medical centres, hospitals, malls, shopping centres, supermarkets/hypermarkets, convenience stores, retail outlets, cinemas, cafes, restaurants, lounges, pubs, clubs, entertainment zones and a lot more can be accessed without worrying about long-distance journeys. The strategic location of Kanakia Future also offers easy connectivity to a number of suburbs throughout Mumbai. Kanakia Group has always offers residential spaces at budget-friendly prices and this incredible development is no exception! The Kanakia Codename Future price is affordable and totally worth the lavish features that it has to offer. You can conveniently choose from a number of payment plans along with home loans at decent interest rates, NRI services and more. May it be a new home or an investment for that matter, an apartment at this development is surely worth a buy. Book your residential space today and enjoy every element of luxury that goes beyond expectations!